Our site contains listings of lots for sale in Bacolod city, please choose listings below. 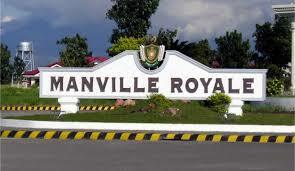 Lot area: 909 sqm =Php 6,000.00 per sqm. Introducing a prestigious address that stands for style and privilege in the 21st century, Centrale Bacolod. Located Beside Scholasticas Academy near LA salle. With Entrance Near Robinsons mall. A residential address that is very close to schools and malls. Centrale is located right at the center of Bacolod. Ideal for investment or residential purpose. Negros island premier residential address. Ayala Land Premier understands and upholds the quality of life valued by its discriminating clients. It is with expert master planning that Ayala Land Premier delivers the perfect synthesis of excellent location and enviable surroundings. Our listings includes lots sold by Ayala land Premier and also lots sold as second sale by previous owners. Call us directly if your interested as we have many listings of second sale lots being sold by the owners. Just beside Ayala mall, great for investment! Town and Country is british Them fully-developed upscale 60-hectare residential estate that boasts of country club amenities. The development follows an interesting diagonal design pattern that maximizes frontage of lots. It is located in the outskirts of Bacolod in Talisay, Negros Occidental. Sleep soundly knowing that you and your family are safe with our 24 hour security and perimeter wall Spend quality time with your family swimming or have a barbeque party at our landscaped parks and playground.A sure investments that appreciates in time. Located just 5 minutes away from robinsons mall, near schools and hospital, near airport. easy financing, hight economic growth area, professional property management. designed to bring home countless possibilities for fun and adventure. various leisure options for the whole family. Location: Phase 1, Brgy. Vista Alegre, Bacolod City. We are now accepting Letter of Intent (LOI). Be the first to choose your desired location. contact us for more info and for free site visit assistance!